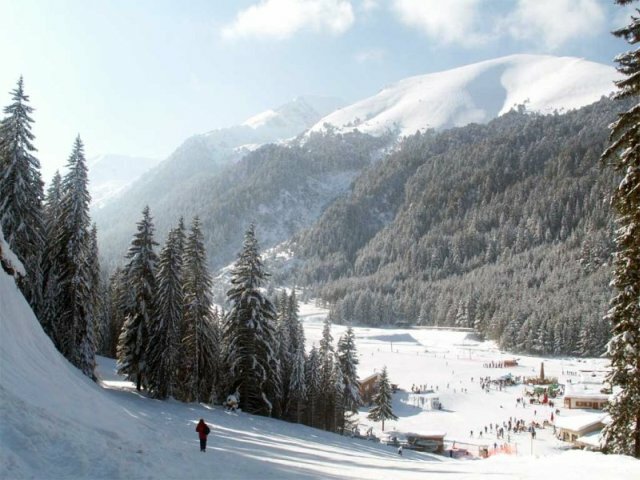 The ski resort Bansko is one of the most picturesque places on the Balkans. The town is located in the beautiful valley of the Mesta river. The most beautiful mountains in Bulgaria - Pirin, Rila and Rhodopes join here. 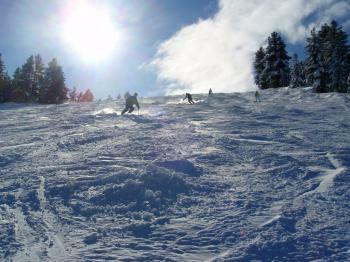 The ski resort is situated in South-West Bulgaria at about 160 km away from the capital city - Sofia. The permanent residents of the town of Bansko is a little bit more than 9000 people. In the foot of the three mountains with many rivers, green fields and huge forests, the ski resort Bansko attracts visitors from the whole world all year round with its original landscapes.In close proximity to the town of Bansko is located the amazing national park Pirin which gives splendid nature famous with its rich flora and fauna. Over the past 10 years Bansko has become a year-round holiday town and number one ski resort in Bulgaria with the biggest ski facilities and the biggest hotels in Bulgaria. Bansko is announced as unique holiday village with international importance in the tourism. Besides the beautiful Pirin mountain and many other natural sighseeings, the town of Bansko has a rich historical heritage, the town is famous with its culture and traditions with its original revival architecture. All visitors of the ski resort of Bansko will be able to see the typical for Bansko fortified house which was the most secure part of the defence system of the settlement of Bansko during the XVII - XIX century. The guests of Bansko always leave this place amazed by the spirit of the local people and deep inside they feel that they should come back to Bansko in the near future. The town of Bansko and the region offer a wide variety of accommodation opportunities, guest houses, villas, houses, apart hotels, hotels and many others. A lot of guest houses, new hotels and apart hotels were opened in Bansko over the past few years. This made it much easier for the tourists who visit Bansko to find an accommodation at any time of the year. Along with this some apart hotels and hotels have websites where the people planning to visit Bansko can book and pay in advance, some apart hotels, such as Four Leaf Clover arrange airport transfers from Sofia to Bansko. The Pirin national park was announced for territory of world importance in 1983, it is included in the list of national parks and preserves of the United Nations as well as in the list of the cultural and natural landmarks of Unesco. The park spreads on an area of 274 square kilometers, it takes most of the Pirin mountain. The park is located in close proximity to the ski resort Bansko, offering picturesque natural landscapes, lakes, waterfalls, caves, eternal trees, rich flora and fauna. national importance. More than 100 archaeological sites are registered in the Bansko area. The town of Bansko has a very well arranged museum network. 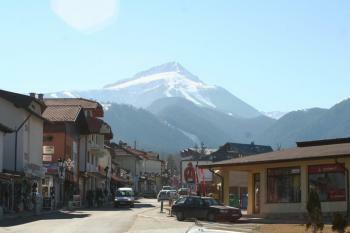 Bansko was found as a settlement during the IX - X century by grouping several neighborhoods. The beautiful area was populated by Thracians, Romans, Byzantines and Slavs. The ruins of antique fortresses, thracian necropolis, medieval settlements, consecrated places, churches and chapels in the town testify for several historical ages. In the Staroto Gradishte area, about 4 kilometers west from the town of Bansko and in the area Julen along the Damianitsa river, were found remains of antique fortresses. In close proximity to the "Staroto Gradishte" were found several thracian necropolises. Bansko was formed as a fortress of the Bulgarian spirit. In the boundaries of the Ottoman empire, the town of Bansko was considered as a limited autonomy. The residents of Bansko actively participate in the Kresnensko-Razlozhkoto rebell in 1878 - 1879 and in Ilindensko-Preobrazhenskoto rebell in 1903. Here in Bansko every home, every family has given a son or grandson for the FREEDOM! * International Jaz festival, which is held here in Bansko since 1997 on the open air scene in the center of the town. * hiking in the Pirin mountain, you can go for horse riding in the mountain which will give you the opportunity to touch the beautiful green fields, to the unbelivable rock formations and to the eternal pine trees. * Center for mountain and ski sports with modern ski facilities and cable-ways. * Main area for skiing is Shiligarnika. 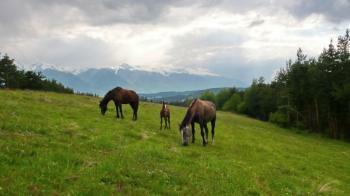 It is located 1700 - 2500 meters above the sea level and some 12 km away from Bansko. To there you can get with car or a bus or the ski lifts. * Other ski area is Chalin Valog - located at 1100 - 1600 meters above the sea level and some 6 km away from Bansko. There are postes for very experienced skiers and other which are good for beginners. * The national contest for ice sculptures "Fire of ice"